Posted on 06/12/2016 in Game Recaps. 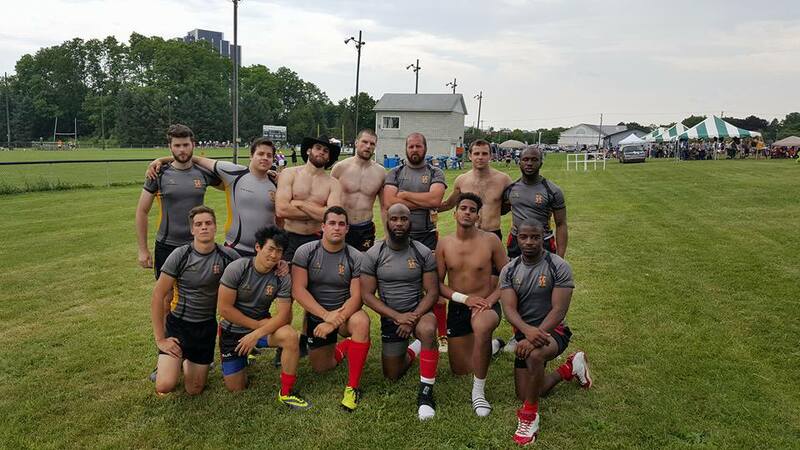 The Potomac Exiles started the sevens season out with bang. Taking on defending Lehigh Valley 7s Champions Village Lions, Potomac scored early and often in the first match. With precision passing and patient phase play, Potomac ran off to 31-5 lead powered by a number of long runs from Iseijah “Juice” Allen and Ballah Boakai. Next, Potomac took on division rival Baltimore, a match between two of the tournament favorites. In this one, Potomac came out a little flat and surrendered possession early and often. However, strong defense kept the halftime deficit to a manageable 12 points. Showing renewed focus and a lot of heart in the second, Potomac came out firing and wrapped up a 22-12 win. In the third match, after being told by the tournament director that they’d clinched a playoff spot, Potomac looked complacent and paid the price. The team again tried to “turn it on” in the second, but a late turnover sealed it for the Molly Maguires and the Exiles took a 19-7 loss. Unfortunately, Potomac’s playoff status was indeed up in the air, and they lost out on a tiebreaker via point differential to Maguires and Baltimore. On the whole, the day ended sooner than the Exiles hoped, but a lot of great stuff was displayed on the pitch. Playing for the first time together, the squad displayed the kind of chemistry and teamwork that should result in plenty of wins as they head toward the bigger tournaments later in the summer. Nate made an immediate impact in his Potomac Exiles’ debut. The Virginia Tech student played almost all of the minutes at center in the team’s two wins, and displayed strong fundamentals on offense and defense. His second half run against Baltimore swung the momentum, and helped the team to a big win. Cheers, Nate.